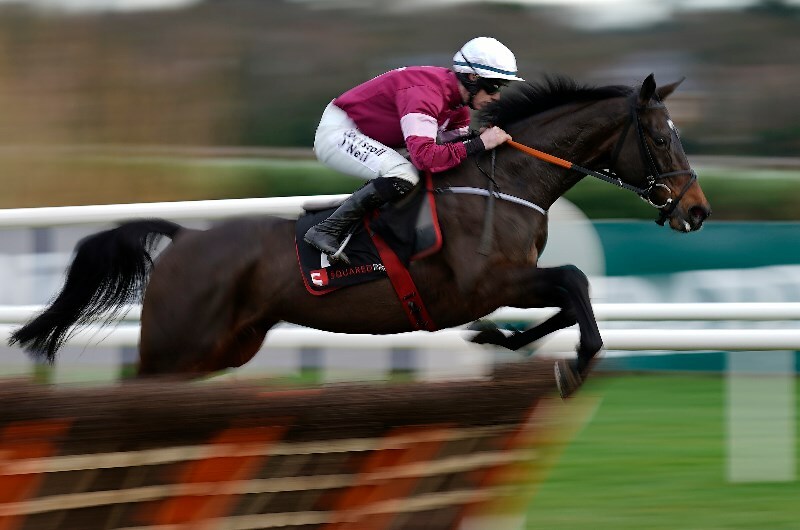 It has been a great rivalry between Apple's Jade and Benie Des Dieux over the past few seasons and the two former champions will go head-to-head this March in the 2019 Mares Hurdle at Cheltenham. A Day 1 Cheltenham Festival feature, the Mares Hurdle looks a race in two this year with the 2017 and 2018 champions squaring off in what could be one of the best races this festival. Bookmakers also have Laurina and Verdana Blue well-favoured in the market but we firmly believe this will be a match race between Apple's Jade and Benie Des Dieux over the concluding stages. Good each-way value with Benie Des Dieux despite having raced only once since winning the 2018 Mares Hurdle. Trained by master trainer Willie Mullins, the eight-year-old scored a win in the Grade 1 Champion Hurdle following her Cheltenham success but that came in April 2018. Having such a long lay off isn't ideal coming into a feature race during the Cheltenham Festival but Mullins is no stranger to pulling off incredible feats and this mare still has enough ability to get the better of Apple's Jade late in the piece. Limini represents value for place punters. The Mullins-trained mare scored a good win at Leopardstown five starts back but hasn't run well since. She has placed at her last two starts, with one coming 22 lengths behind Apple's Jade, but she could run top three. Her jockey will likely sit off the pace and try work into the race late. That could be a good tactic and punters will get good place odds. Belmont Stakes Tips & Betting Predictions: Can Bob Baffert do it again? 2019 Durban July Handicap Tips & Betting Predictions: Can Justin Snaith go back-to-back? 2020 Karaka Million 2YO - Who will be the next juvenile superstar of New Zealand? 2020 Pegasus World Cup - which superstar will next rise to become the global champion? 2020 Apollo Stakes - Who will follow the legacy of Winx? New customers only. 21+ only. T&Cs and wagering requirements apply. New customers only. 18+ T&Cs and wagering requirements apply. New Jersey customers only. 21+ only. T&Cs and wagering requirements apply. Cash stakes only. Min 10 stake required for initial 5 free bet. Min odds ½. Max 25 in free bets. Subsequent free bets equal 50% average of each 3 qualifying bets. 13 bets required to receive full 25 free bet. 18+. T&Cs apply. New customers only. 21+ T&Cs and wagering requirements apply. Australian & New Jersey customers only. 21+ only. T&Cs apply. Stay in Control. Gamble Responsibly. Think! About your choices. Justify Belmont Stakes Tips & Betting Predictions: Can Bob Baffert do it again? Star Express 2019 Durban July Handicap Tips & Betting Predictions: Can Justin Snaith go back-to-back? 18+ Know when to stop. Don’t go over the top. Gamble responsibly. Think! About your choices.